Get the Best of Both Worlds of Humbucker and Single-Coil Tone. WHAT DO RIVET PICKUPS SOUND LIKE? Rivet Pickups use mini-coils to re-focus high end and low end boost while maintaining much of the clear definition of your tone. Get single-coil sparkle over a solid foundation of lows. Then crank them for high output without the muddiness of traditional humbuckers. HOW DO RIVET PICKUPS WORK? 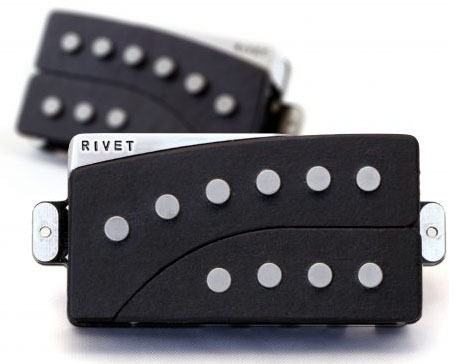 Rivet Pickups use mini-coils that span only 3 or 4 strings, focusing either on bass or treble. Turn a mini-coil on to take a little bass from your neck and mix it into your bridge. Or take a little edge from your bridge and mix it in with your neck. Mixed, matched or crisscrossed, Rivet Pickups help you find a sweet spot while maintaining clarity. Q: Are Rivet Pickups passive or active? A: Passive. No batteries required. 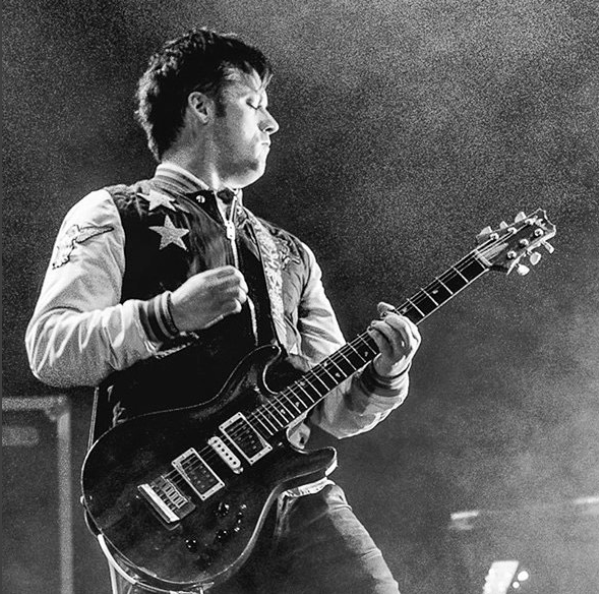 Q: Will I have to take a saw to my guitar to install Rivets? A: Rivets are the exact same size as humbuckers. No modification is required if replacing humbuckers. 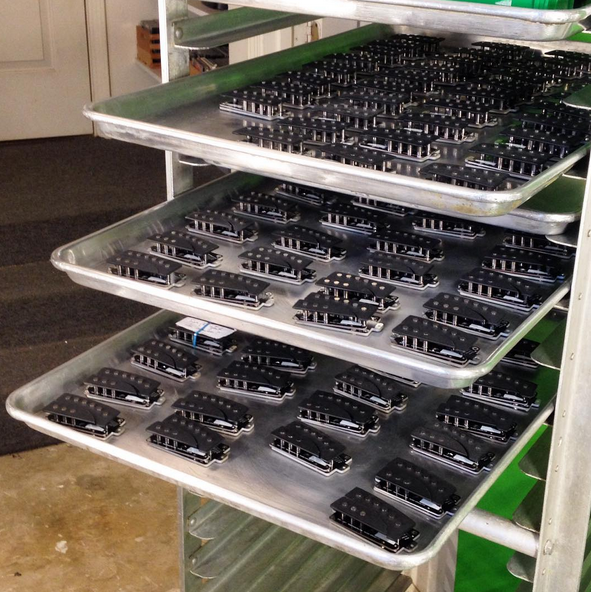 If replacing smaller pickups, routing may be requried. Q: Are Rivet Pickups hard to install? A: Installing Rivet Pickups is comparable to installing EMG pickups. It's not quite as simple as swapping out one humbucker for another, but the circuit is straightforward and our instructions are thorough. 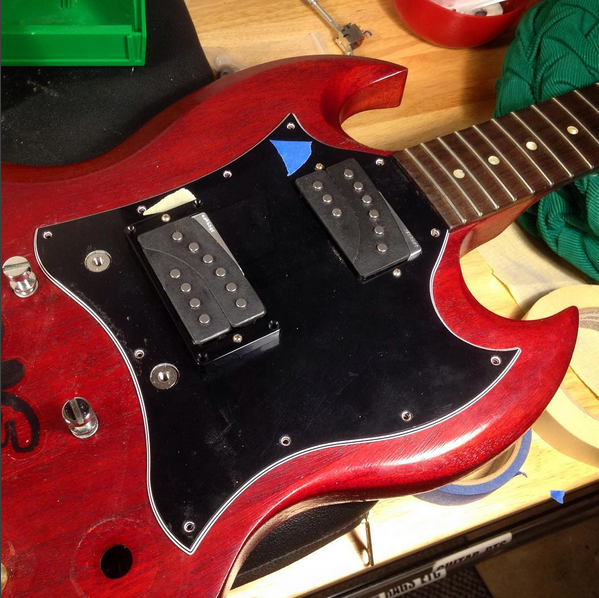 If you can install other pickups, you'll be able to install Rivets. Q: Do Rivet Pickups sound like humbuckers? Or single-coils? A: Rivets are something of a hybrid of humbucker and single coil tone. The full-sized coil on every Rivet is a massive full-power single coil, in the vein of a classic Tele(tm) pickup. The mini-coils kick in to create some very unique but useful tones: like a Tele(tm) bridge tone with boosted bass, or a rich and mellow neck tone trimmed with an edge of crisp highs. Basically, adding the bass mini-coil thickens up your low end only, leaving your mids and highs pretty much intact, and adding the treble mini-coil re-focuses your high end with a distinct edge of clarity. Rivets don't just "fall in the middle" between humbuckers and single-coils - they sort of "stretch" to grab elements of both, morphing them into some interesting and very useful new tones. Q: Are they hum-cancelling, or do they hum? A: Some of both. (We call them "Somebuckers."). When you use a Rivet coil alone, it's just like a traditional Strat(tm) or Tele(tm) pickup, and can hum a bit. Rivet coils in various combinations are designed to hum cancel, with the most common combinations cancelling the most. In other words, sometimes they hum as any single-coil would, but usually they're quieter. Q: Do I need to get two, or is one cool? A: One Rivet Pickup can be a great addition to any guitar, either by itself or to compliment another pickup you already have and love. The mini-coil of the Rivet Pickup will work in conjunction with your other pickup to expand its tone as well. For the widest variations of tone, we recommend two. A: Yes. We offer a 90-day return policy, as long as your order is returned in sellable, like-new condition. A: Usually, we are able to ship the day an order is placed or the next business day. In rare instances, we may need a few more days to fill your order. Q: Do you offer bulk discounts for OEMs and boutique shops? Be the first to know about new stock, sales, and other updates, and get occasional interesting info about pickups delivered straight to your inbox. We promise never to spam and only to send information you'll care about. Just a click away... Sign Up Now!